Digital displays are now a big part of any event, whether it’s a conference, meeting, festival, gala, or ceremony. To make sure they are smoothly integrated into your event experience, you absolutely have to know the format and resolution of your display to make sure that your content fits correctly. You may be familiar with the terms format and resolution, but if you thought they were synonyms or you’re not sure which is which, don’t worry, you’re not alone. 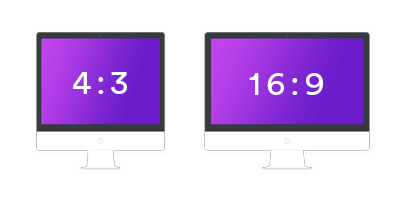 The most universally used ratios are 16:9—known as the Widescreen, and 4:3 –commonly referred to as Full Screen. The 16:9 ratio is a wide rectangular shape, whereas the 4:3 ratio is a narrower rectangle, closer to a square. There are many other aspects ratios that display screens can take, including , 21:9, 14:10, 19:10 … etc. When considering aspect ratio you should also take into account the size of the content you display on your screens. The images must match the size of your screen- if they don’t correspond, it will try to compensate by either having black bars appear around your content, or stretching it to fit the screen. To put it in simpler terms, Resolution is the number of pixels that a screen can show. For example, a screen with a resolution of 720p will show 720 pixels vertically. 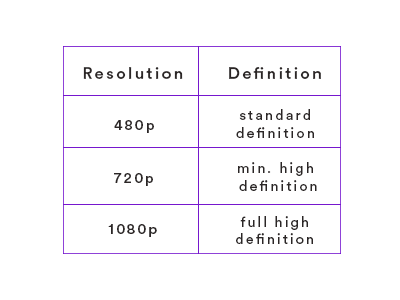 The most commonly used resolutions are 720p and 1080p. There are many other display resolutions on the market, but as long as your content resolution matches with your screen resolution you have nothing to worry about. 4K resolution has gotten a lot of attention in the past few years due to its ultra-high definition. But don’t overlook the potential of 1080p and 720p, when your audience is far from the screen they won’t be able to tell the difference – that’s why they are still the most commonly used resolutions! 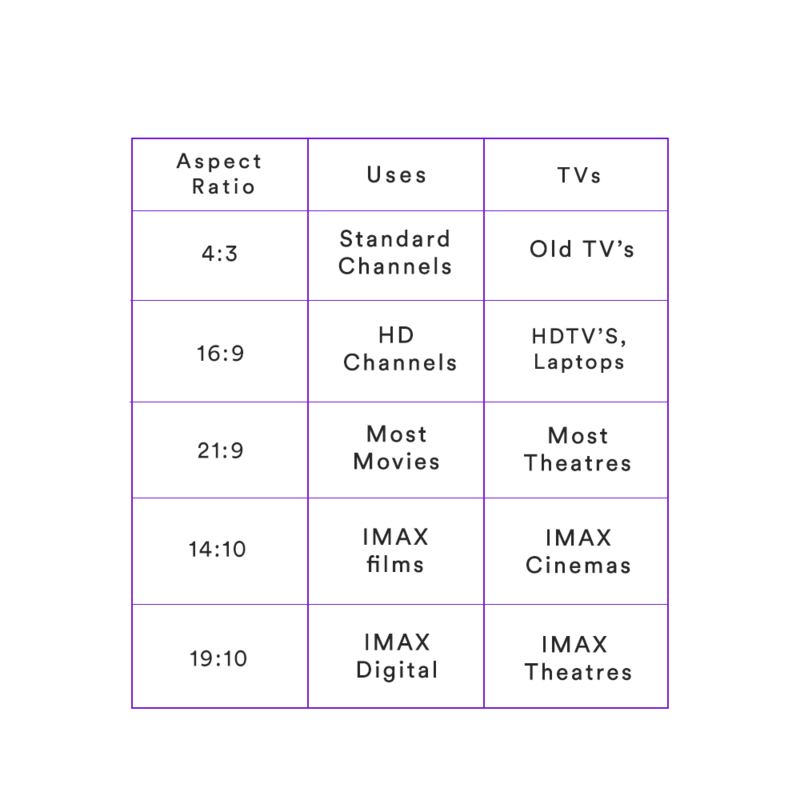 Which resolution will best suit your aspect ratio? Using your display resolution and format you’ll get the right resolution for your content (ex: 1920×1080, 1920×1200, etc). Using this information, you can determine how to create the right quality of content to fit your screen. When we’re designing a project, we always suggest aiming for the highest resolution possible, with a format big enough that your guests can see the exact information you’re trying to display even if they’re far from the display. Hopefully, we managed to shed some light on the topic and we saved you a couple of headaches for your next event.